If Mauricio Pochettino could not afford for one player to get injured against Juventus, it was Kieran Trippier. The England international hobbled off midway through Spurs’ final pre-season friendly at Wembley, leaving Kyle Walker-Peters as their only available senior right-back. The decision to sell Kyle Walker to Manchester City has at least left the club with £50million to reinvest. According to the Daily Mail, Spurs have now joined the race for £25m-rated Joao Cancelo, who is already being targeted by Juventus. Having impressed at the summer’s under-21 European Championships, the Valencia full-back is seen by Juve as a potential replacement for Dani Alves, who cut short his contract early to join Paris Saint-Germain. 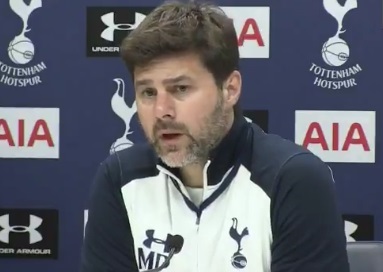 Spurs’ need is even greater, as Pochettino told the assembled media after his side’s 2-0 win on Saturday that he doesn’t think Walker-Peters, 20, is ready to make his debut at Newcastle next week. “He is still so young and I think it’s too much for him,” he said. “He’s a player who needs to work with us and maybe play in different games. With less than a week to go until the new Premier League season begins, time is running out. If Trippier isn’t able to prove his fitness, Moussa Sissoko may be forced to operate as a right wing-back, a position he attempted in last season’s win over Leicester.